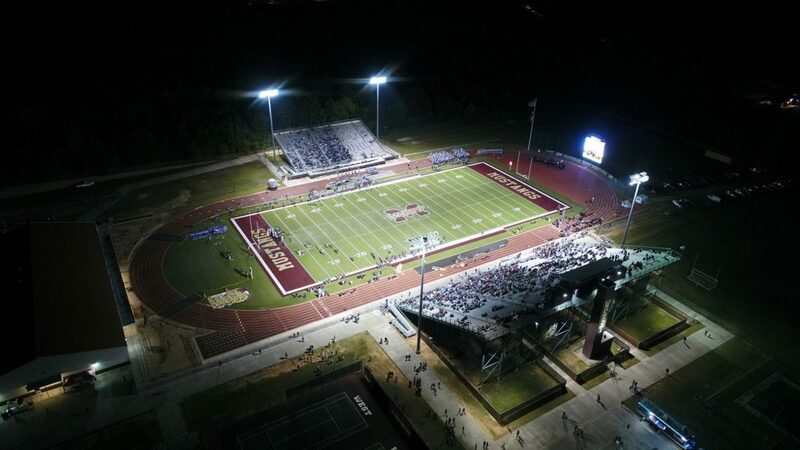 When legendary Texas football coach Mike Spradlin joined Magnolia Independent School District in suburban Houston as Director of Athletics in 2016, he set about upgrading the football experience at the district’s high schools. Part of that plan was the installation of new video scoreboards and sound systems at both Magnolia and Magnolia West. Southwest Building Systems (Sillsbee, Texas) was engaged to design and install new sound systems at both facilities. The goal was to deliver full, even coverage in the bleachers, with clear, high fidelity sound quality for game announcements, music, and sponsor video commercials. 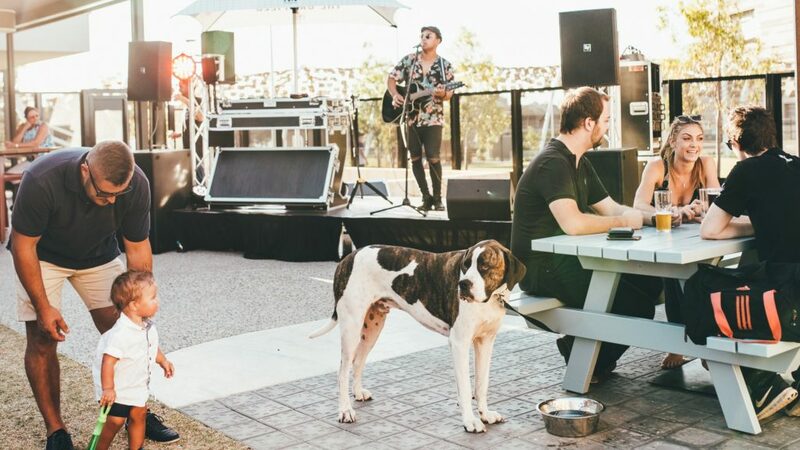 Southwest Building Systems designed a PA system featuring long-throw Electro-Voice loudspeakers powered and processed by C Series amplifiers from EV’s sibling brand Dynacord. The same system was installed in both stadiums, which have virtually identical bleacher and scoreboard layouts. The system is based on three EVH-1152D/43 coaxial loudspeakers, a two-way, horn-loaded design that delivers up to 139 dB SPL. This highly directional 40 x 30 version provides the tight dispersion required to deliver clear sound throughout the 8,000-seat venue. Two 1152s cover the home side of the field, with the third handling the smaller visitors’ bleacher section. 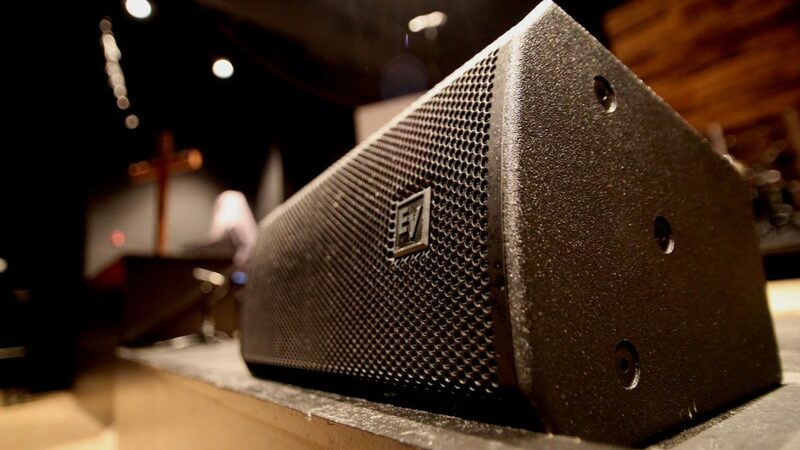 Two EVF-2151D subwoofers provide low frequency support. The speakers feature Electro-Voice’s fully weatherized design option, with fiberglass cabinets, powder-coated stainless steel grilles with hydrophobic mesh, and water-tight input panel covers. The loudspeakers are housed in an enclosure above the new video scoreboard, providing further weather protection while keeping them out of sight. As a final touch, the announcer’s microphone in the press box was outfitted with the Electro-Voice PC Desktop-18, a gooseneck design with sturdy, weighted steel base and selectable pick-up pattern from the PolarChoice range. 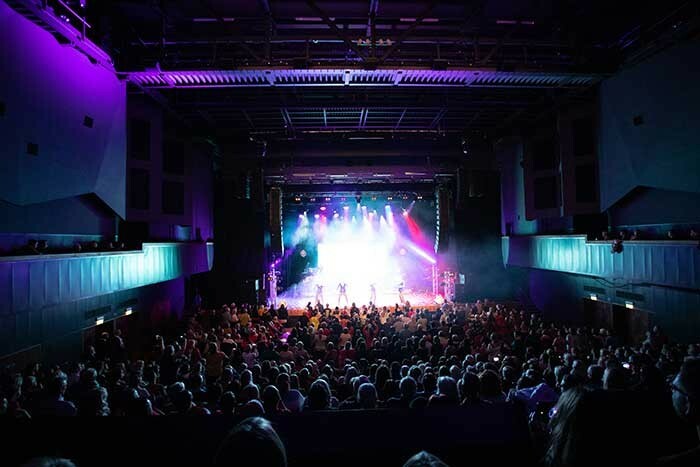 Platinum selling vocal harmony stars The Overtones sold out concert halls across the UK when they set out on a 26-date tour at the end of 2018, accompanied by long-term front of house engineer Mark Clements. For technical production specialist Merlin PA Hire, the sheer variety of venues on the tour meant that the sound system had to be as flexible as possible while still delivering the clarity of performance required for the precise and detailed Overtones sound. “The guys are very particular about what they want and for me it needs to be precise; crystal clear vocals and the ability to retain the character of their individual voices,” explains Clement, the band’s engineer for nine years. “It’s not a broad-spectrum EQ, it’s very defined for each performer and there’s a lot of time spent riding the faders.” Most importantly, Overtones shows are renowned for inspiring audiences to leap to their feet and dance in the aisles. Delivering the all-important blend of versatility, performance and power was an Electro-Voice X-Line Advance X2 line array system driven by one of the first Dynacord TGX-20 amplifier set-ups to hit the road. In choosing to use the already award-winning Dynacord TGX amps, Merlin PA’s Neal Allen also adopted a fully OMNEO workflow for the tour, combining Dante audio transport with OCA control. 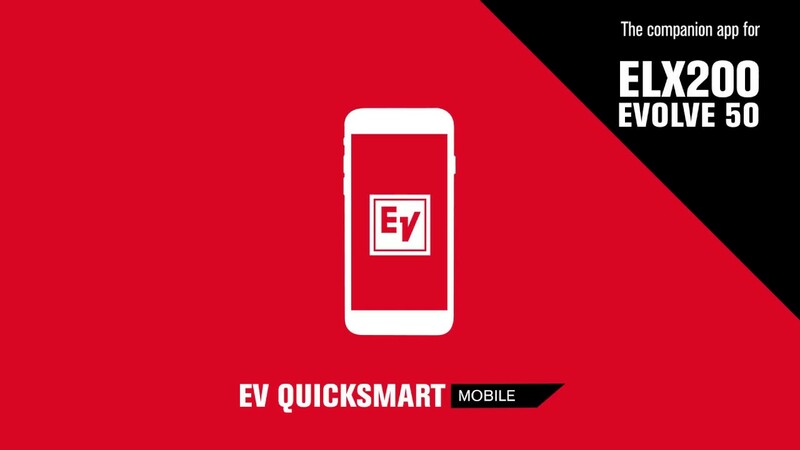 The EV system felt much more rich and present at any volume. It just felt right in our sanctuary. Located in the heart of Acadiana in Lafayette, Louisiana, The Bayou Church is a contemporary Christian house of worship. 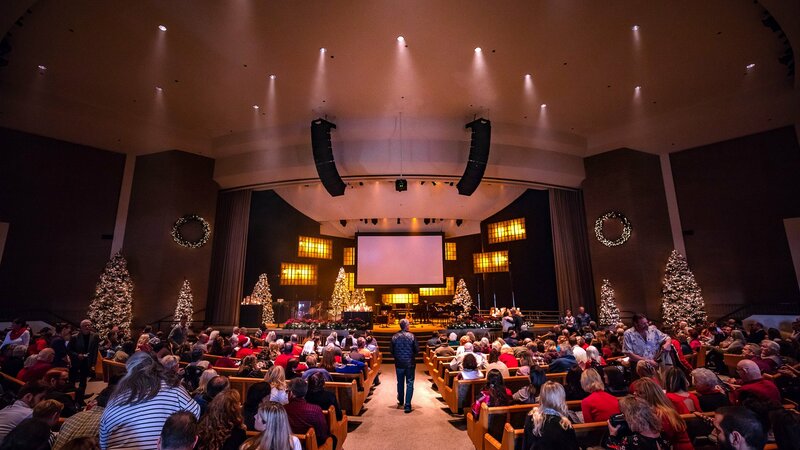 Regional production company and system integrator Gulf Coast Sound was among the companies the church consulted when exploring options for upgrading the sound system in their 600-seat sanctuary. 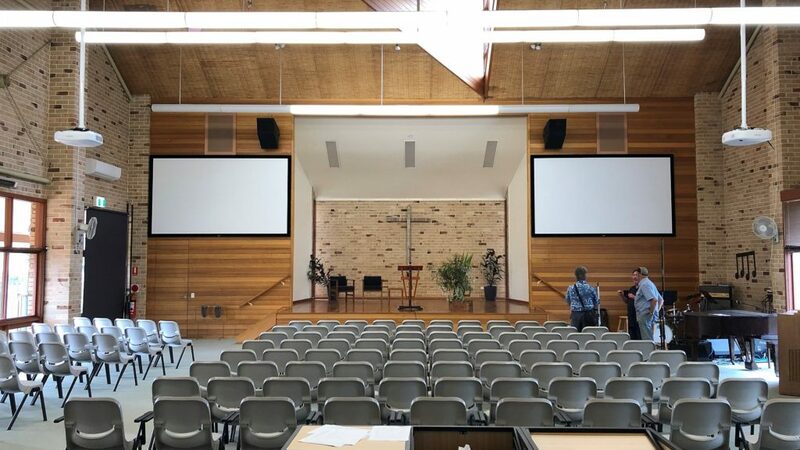 For precise coverage of the sanctuary’s rectangular shape, Habetz designed a demo system based on Electro-Voice XLD line arrays supported by Xsub subwoofers, all straight from Gulf Coast Sound’s rental stock. The system made a big impression on worship pastor Ed Gore and his team. 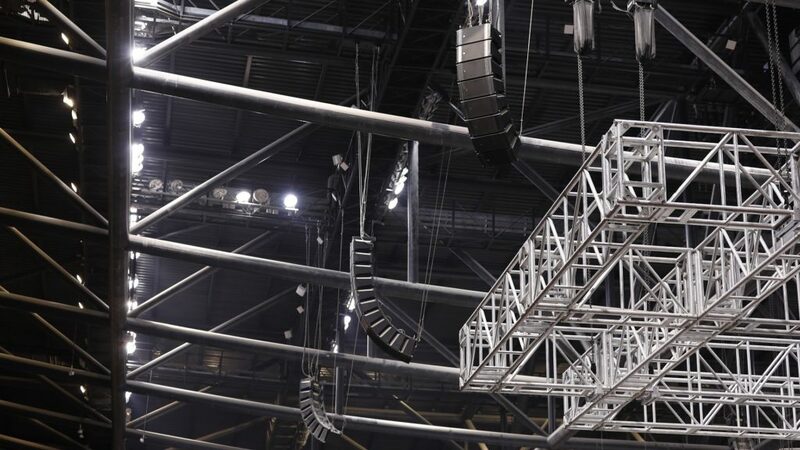 With an EV solution given the go ahead, Gulf Coast Sound designed a networked system consisting of twin hangs of eight XLD281 loudspeaker arrays, all with 120-degree dispersion. A pair of EVC-1082 front fills on the stage lip cover the center-front seats. Low frequency reinforcement was upgraded to EV’s acclaimed X-Line Advance dual-18” subwoofers, with six X12-128 units deployed together in front of the stage. 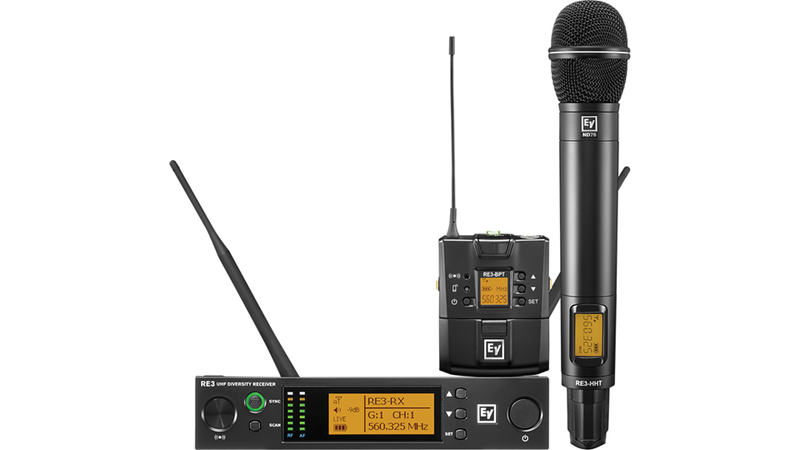 Network control for the system is provided via the Electro-Voice N8000 NetMax digital matrix controller. 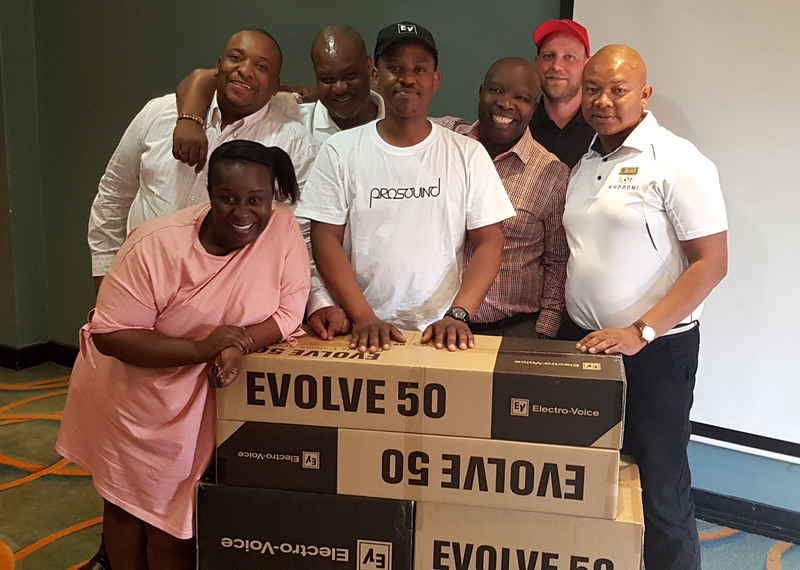 Another upgrade from the original demo system was via six C3600 amplifiers from EV’s sibling brand Dynacord, a new model that was launched to market during the design process. The C series offers high-end features not previously available on install amps at their price point, including advanced FIR-Drive to optimize system performance; sophisticated protection circuitry to ensure safe, reliable operation under all conditions; and an efficient standby power mode that can reduce running costs and power consumption by up to 90%, leading to a very low total cost of ownership. 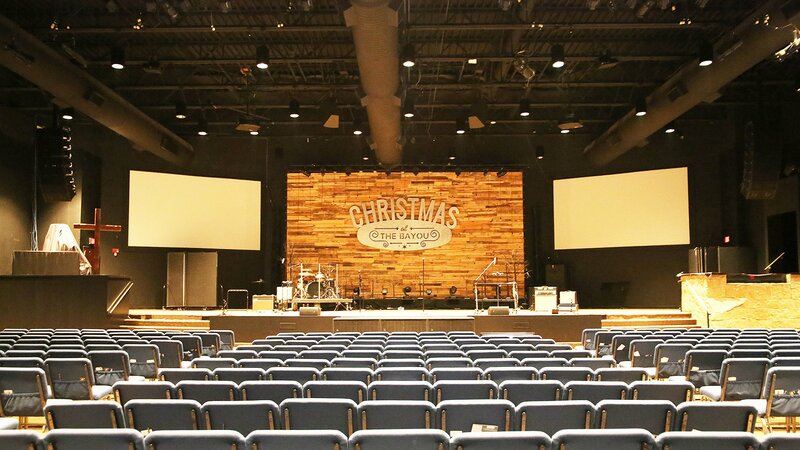 The system design at The Bayou Church underwent some final fine-tuning to ensure sightlines to the stage and screens were optimal from the outer seating areas. The EV applications engineering team used EASE modeling to move the XLD arrays about two feet upstage, while maintaining coverage; Gulf Coast Sound then created custom trussing for their precision deployment.